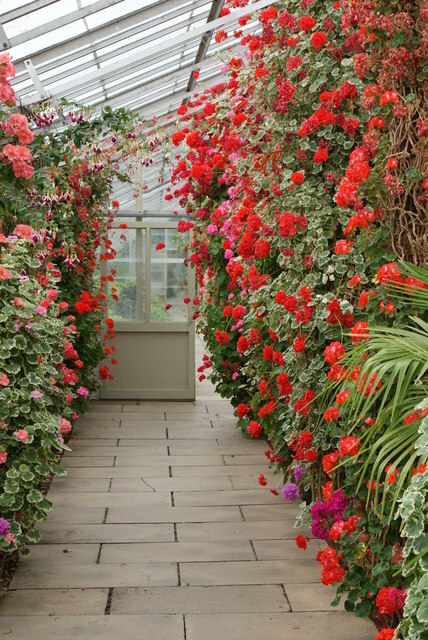 A novel and very impressive use of Geraniums in the lovely greenhouse on the north wall. Next time I shall take a folding chair and enjoy a flask of coffee in there. © Copyright Rick Carn and licensed for reuse under this Creative Commons Licence.